Photo credit: Monik Markus, CC BY 2.0. Four months ago, my ob/gyn pushed a plastic rod through the business-end of a stapler-like contraption and into my iodine-slathered bicep. It lasted only a few seconds, and my arm was so numbed-up with lidocaine that I could hear it more than I could feel it. “All done,” said my doctor, who, as one of the few male ob/gyns at the women’s clinic and likely the only one under 50, carried himself with a certain self-aware swagger. He wrapped my arm in a bright yellow compression bandage and sent me home. That night, I took the bandage off to find an impressively large and hideous bruise had blossomed underneath, and only then did I feel pain. I did a Google image search of “nexplanon insertion site bruise” to comfort myself with the knowledge that, yes, most people’s arms look dreadful after absorbing a foreign object. Such is the cost of birth control — or, in this case, a birth control method that happens to be my medicine. The $35 copay was just the latest in a series of relatively small hits my debit card had taken over the months-long process of managing an ovarian cyst. The plastic rod in my arm goes by the trade name Nexplanon, and releases the synthetic hormone etonogestrel over a period of two years. Though most arguments about birth control coverage are rooted in the rhetoric of choice, getting Nexplanon never really felt like one. Ovarian cysts are common, but they’re a big deal for me, both because they cause pain, and because surgery for a previous ovarian tumor left me with only one ovary in my early twenties. The ovarian suppression Nexplanon provides was recommended by my doctor as a first line of defense against future cysts. When I had it inserted, I quietly joined the ranks of Americans who take birth control as medicine. There are a lot of us. According to a study conducted by pro-choice research organization the Guttmacher Institute, tracking just the pill alone, 14 percent of American women who take oral contraceptives reported doing so “exclusively for noncontraceptive purposes,” and 58 percent cited a combination of factors. 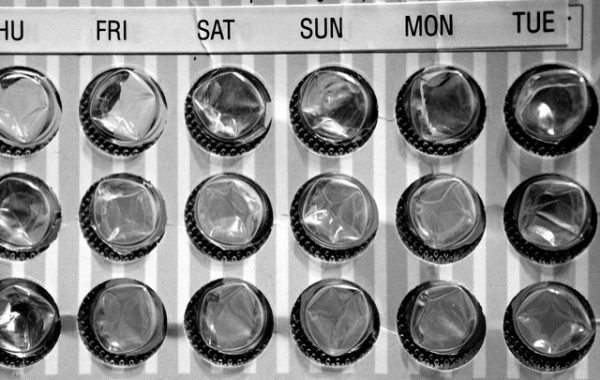 Less than half — 42 percent — were on the pill only to prevent pregnancy. The study found that people take birth control pills to treat a host of problems, including endometriosis, period pain, and menstrual migraines. The simple fact is that for many of us, birth control isn’t at all political. It’s medicine. It’s prescribed by doctors. It’s part of our treatment plans. Who is served by ignoring this reality? It’s easy to see who isn’t. In my effort to learn more about the experiences of women like me, who rely on birth control to keep health conditions in check, I cast a wide net over social media. It didn’t take long for friends and friends of friends to reach out with stories that were all too familiar. For reasons that should be quite obvious, I am not using any of their names. Another woman I spoke to recounted a protracted diagnosis with endometriosis. One doctor told her to take ibuprofen for pelvic pain she was experiencing. A few months later, when she was traveling full-time and getting medical treatment through a Christian-run health care sharing ministry that didn’t cover birth control, the pain got worse. She recalls paying $40 for the appointment and $28 per pack of birth control pills, a prescription she fills every three weeks; since she’s taking them as medicine, she can’t take the week’s worth of placebo pills the comes standard in most pill packs. “It’s one of my biggest expenses at the moment,” she says. Another woman described developing a large ovarian cyst at age 14. “I was put on birth control to treat it,” she says. “If I hadn’t been able to take the pill, the cyst could have ruptured, causing infertility or a medical emergency.” Years later, this woman’s daughter, now an adult, was diagnosed with polycystic ovary syndrome (PCOS), and relies on the progesterone-only “mini pill” to treat the disorder. I’ve had my Nexplanon for months now, and while I’m still getting used to the way it seems to leap beneath my skin whenever I flex, my ultrasounds have been clean. The clinical term is “unremarkable,” and seeing it on my radiology reports brings a kind of relief I have only ever felt once before: after my tumor diagnosis eight years ago, when my blood test for cancer markers came back negative. My Nexplanon is working the way it’s supposed to. I’m grateful for that. But had circumstances been different, I never would have chosen it. I got it for the reason most people take their medicine: I had a problem. I was in pain. I wanted to get better. My doctor told me what to do, and I listened.